﻿I started reading this while on my anniversary vacation to Chicago this past December. Super fitting for a weekend in the windy city! This beautifully written memoir tells of Michelle’s upbringing and childhood experiences while living on the South Side of Chicago. 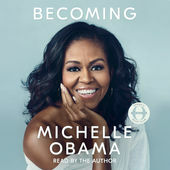 She details her incredibly ambitious college years at Princeton University and Harvard Law School and also shares the beautiful love story of her and Barack Obama. It’s been a long time since I’ve read a memoir and this one is just beautifully written. So far, this read is truly inspiring and enjoyable. A popular read that is sure to empower many women. I’ve been hearing so many great things about this book from the online community! I finally decided to pick it up this month! 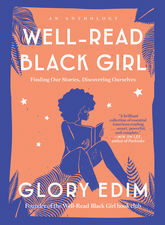 In this anthology, Glory Edim brings together original essays by black women writers to share how they recognized themselves in literature. They talk about the work of Maya Angelou and many literary foremothers who shaped their lives as creators. I love that each writer discusses the importance of representation in literature. I’ve been enjoying this read throughout this weekend especially with a glass of wine! This read was at the recommendation of one of the owners of my local book store. I was interested in reading something that was completely off my radar. 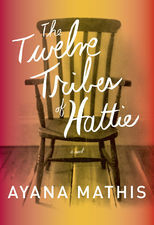 The story is of fifteen-year-old Hattie Shepherd, who at the time of the Great Migration, flees Georgia and heads north. She ends up in Philadelphia and attempts to build a life for herself. Instead she marries a man who will bring her nothing but disappointment, and watches helplessly as her firstborn twins are lost to an illness that a few pennies could have prevented. Hattie gives birth to nine more children. She vows to prepare them to meet a world that will not be kind. That’s just the summary but I’m hoping I don’t get board with this one! I’ll probably check in via social media to let you know my thoughts once I’ve completed it. Let me know if you’ve read any of the books mentioned and feel free to add them to your list if you haven’t already! ‘Currently Reading’ is a new segment I’ve added to the blog! Definitely check back as I plan to add more books in the future!